Talking about your pain is one of the most challenging conversations you will ever. You are bound to have it with your doctor, or with friends and loved ones, and each time you do it’s going to be unpleasant. Why? Because to everyone but you your pain is invisible and as a result, people just don’t get it. Explaining your pain to your Doctor is more than just unpleasant, it’s difficult and it’s a very high stakes conversation. If you don’t convey your experience correctly the road to cure, management or treatment can be longer than it needs to be. 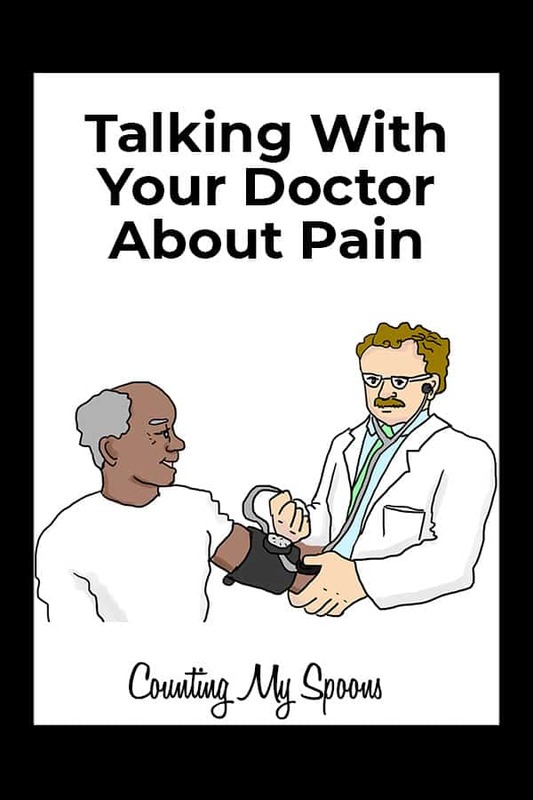 I don’t want to diminish the value of having the pain talk with loved ones but because of the impact it can have on your entire approach to medical care I’m going to focus on how to talk to your Doctor. Doctors rely heavily on signs. Signs are things they can test and measure objectively, like blood tests, electrocardiograms, MRIs and blood pressure measurements. In contrast, pain is a symptom. Symptoms are subjective effects that only the patient experiences. Because they are subjective, it is not always easy for a Doctor to understand or interpret symptoms. Fortunately there is language you can use to make your subjective symptoms more objective. Let’s call this pain language “FLIC” (Frequency, Location, Intensity, Characteristics). FREQUENCY: How Long Has This Been Going On? Headaches that happen intermittently every day, versus ones that occur persistently all night long are approached differently by your Doctor. Being able to tell your Doctor how long or how frequently your pain presents itself goes a long way to solving the mystery of cause and a subsequent treatment plan. The simplest way to look at the frequency of pain is to measure how long it lasts, or its duration. Where does it hurt? Pain conversations may start just like that. There is a common graphic of a unisex human figure with a back view and a front view. Doctors may instruct you to mark on such a drawing where your pain is being experienced. Doctors may even request you to note a difference between pain that is on the surface and pain that is under the surface. This tool comes from the McGill Pain Questionnaire which includes other measurements, but the front and back of the unisex human figure is the most recognizable. If you don’t happen to have a figure to draw on remember terms like, front, back, on the surface, under the surface, deep and shallow, however it should be easy enough to find the McGill Pain Diagram online and print it out. The Wong-Baker Faces scale was originally devised to help children express the kind of pain they were experiencing. Most of us have seen this scale before (six faces ranging from a happy face to an upset, crying face) and it is very easy to use but its limitation is that it only addresses pain intensity. The Wong-Baker Faces scale works the same way that the “1-10 Pain Scale” works, with ZERO being no pain and TEN being the worst possible pain. Take some time to think about where your pain falls on this scale. It is perfectly fine to say that your pain falls within a range of scores. Sensitivity to contact – does it hurt when clothes brush against it, when you poke it? Being able to provide characteristics like this will help your Doctor understand the cause of your pain. In addition, a discussion of the characteristics of your pain should include what treatments make it feel better or feel worse. Does your pain respond well to warm compress or aspirin? Have you found that hot showers make you feel worse? This can help your Doctor rule out certain treatments thus saving you time and frustration. If you don’t have this information prepared when you go to see your Doctor you will probably spend a good portion of your visit trying to figure all this out. That cuts into the time you could spend asking important questions, and getting better quality information and instructions. Also, under such circumstances it is possible that your pain will be misrepresented. So when you are preparing for a visit with your Doctor prepare your FLIC ahead of time. You will be able to give your Doctor the kind of highly specific information they need to help diagnose or treat your pain which could get you the help you need faster. Jim Sliney Jr has been a Registered Medical Assistant for twenty years and has worked in research and a variety of environments providing care to patients. 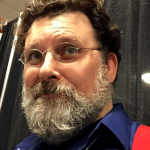 He works with non-profit organizations as a writer of educational material and a promoter of self-advocacy. His consultancy bridges the gap between rare and under-served diseases and the companies that make the products or services that can help them. Jim is currently studying Creative Writing at Columbia University, is excited to someday teach writing, and is working on his first novel. Are You Making Your Healthcare Appointments Work for You? I would like to add chronic, severe pain does have some objective signs (a) high blood pressure & (b) high heart rate. That is an excellent point! I agree that pain will increase blood pressure and heart rate. I will be sure that appears in future editions. Thank you. In my experience, blood pressure is a sign that doctors rarely attribute to pain since hypertension is so prolific. This is really helpful. I’ve always been terrible at describing pain and where it’s located, and when I go to the doctor I’m even worse at it because of my doctor anxiety. I’m so glad this article has given you a valuable tool Chronicmom! It’s always so dreadful when you have to explain your pain. I had to find some new perspectives.